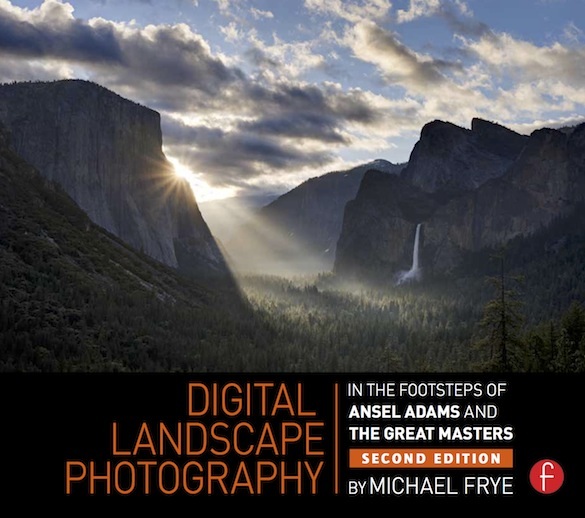 Ilex Press and Focal Press have just released the second edition of my book Digital Landscape Photography: In the Footsteps of Ansel Adams and the Great Masters. This book looks at the techniques of past masters of landscape photography – particularly Eliot Porter, Edward Weston, and Ansel Adams – and explores how those techniques can be adapted to digital photography today. In this new edition, I tried to infuse the book with even more of the master’s words, ideas, and images. I was happy to also be able to include images by Minor White and Philip Hyde, in addition to photographs by Adams, Porter, and Weston. 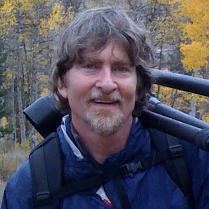 I was also able to interview people like John Sexton and Charles Cramer who knew Ansel and his techniques, or had, I thought, particular insights into how traditional film and darkroom techniques relate to modern digital photography. 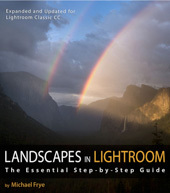 The book is meant to be a complete course in digital landscape photography. It’s divided into three main chapters, covering the technical foundations, light and composition, and the digital darkroom. Every section of the book has been revised to reflect new knowledge and new ideas, and it’s been expanded from 160 pages to 176. The last chapter on the digital darkroom was almost completely revamped and rewritten, because so much has changed since I wrote the first edition in 2009. I also added more about printing – the essential and often troublesome steps required to get an image from screen to paper. The landscape masters featured in the book took great care and pride in making prints, so more information about printing seemed essential. The retail price is $31.95, but right now Amazon has it for $20.81 – a great deal. I also have a limited supply of these books on hand, and you can order signed copies directly from me for $25 (plus shipping, while supplies last) by clicking the Add to Cart Button below. Thanks to all of you who bought the first edition, and for all your kind comments about the book over the years. I hope you like this new version! This will be the perfect Xmas gift to myself, Michael. Thank you very much! I hope I’m not dudding you out of your hard-earned, but for the sake of your Australian fans let me say that I just ordered your book through Book Depository for AUD26.31 (=USD19) post free. I know it’s not personally signed, but I have great hopes of one day remedying that omission! Well it’s always good to get a Christmas gift for yourself. 🙂 And I hope to have a chance to sign the book someday. I enjoyed your previous book on digital photography and would like to order a signed copy of the new one. How would you like me to pay for it? Thanks Jack. We’re currently out of stock on the second edition, so we’re not taking orders at this time. When we get more in I’ll announce it on the blog, and you can use the Add to Cart button and shopping cart system to make your purchase. Glad you liked the first edition! Received your new book yesterday from Amazon. Spent last evening reading it from cover to cover. The layout, the photos, the content, and the composition are superb! Very well done indeed! Glad you took the book in a different direction that your previous ones. I’m going to enjoy this. Glad you like the book Bill – thanks! I found the first edition at my library and decided to buy the second edition. I’ve found two versions of a newer edition with different ISBNs and slightly different covers (the image is identical). ISBNs are 9781781573099 (cover says “Fully revised and updated”) and 9781138859807 (cover says “Second edition”). Are the contents of both of these identical? Thanks. The ISBN ending in 3099 is the English edition, and the ISBN ending in 9807 is the American edition. The content should be identical except perhaps for spelling – “color” vs. “colour,” etc. The one ending in 9807 (American edition) should list Focal Press as the publisher, while the one ending in 3099 (English edition) should list Ilex or Octopus as the publisher. Thanks. I just bought the book. Thanks Calvin – I hope you enjoy the book.